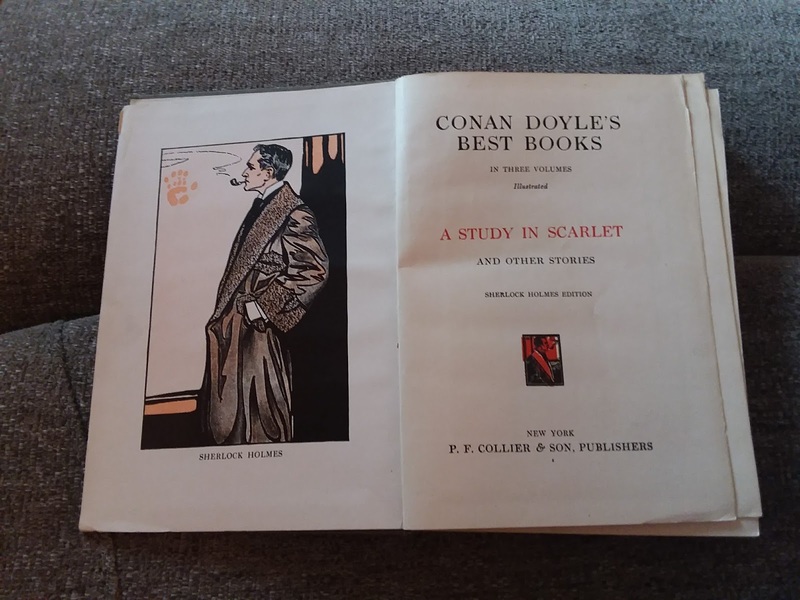 I love Sir Conan Doyle and also enjoyed A Study in Scarlet! 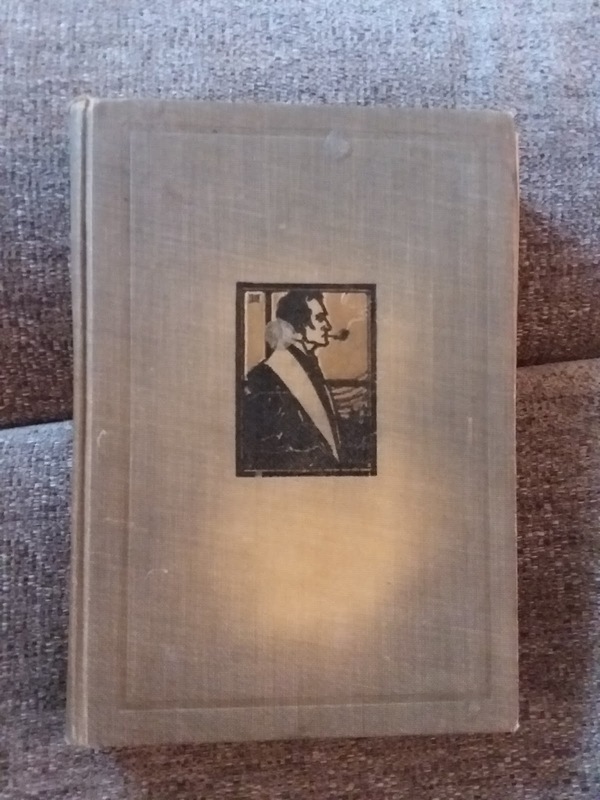 Great introduction to the icon duo Sherlock Holmes and Dr. Watson. Garvin Poole slipped out of bed, got his lighter off the fireplace mantel, and walked in his underwear through the dark house to the kitchen, where he took a joint out of a sugar jar, then continued to the garden door. ~Golden Prey by John Sandford. Sherlock fascinates me - plain and simple. How cool to get all those books! A shiver rippled across Juanita Hoyt’s shoulders, an involuntary spasm induced by the cold metal encircling her wrists. Awesome! I love old books! 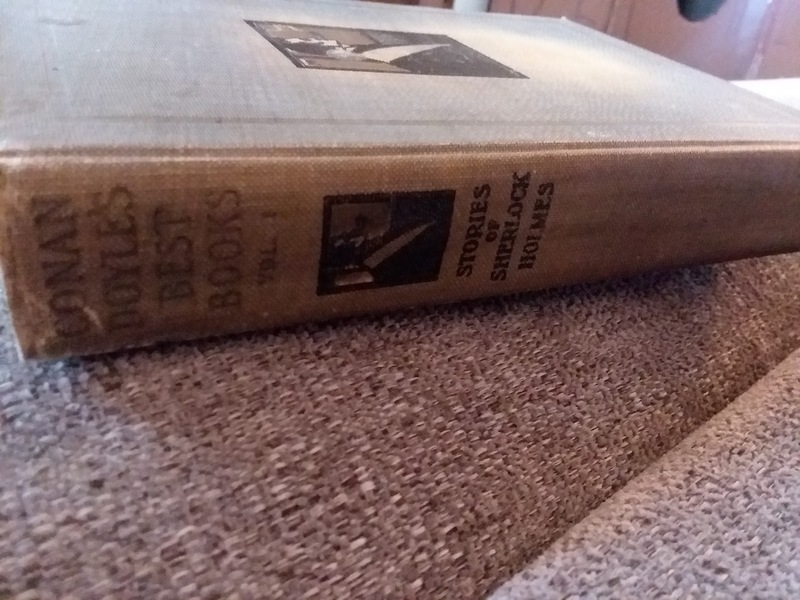 I thought I’d share something different here than the book featured on my blog today. This book is one my son is reading. I love these books your son is reading! Yay for bookish family hehe! Eight boxes?! Wow. Lucky you! "The June sun beat on Gabe Kendall's bare head and tapped into his childhood memories of the horse farm." Happy Friday!!!! Oooh I like that line! I have a huge collection of old books! Happy Friday! 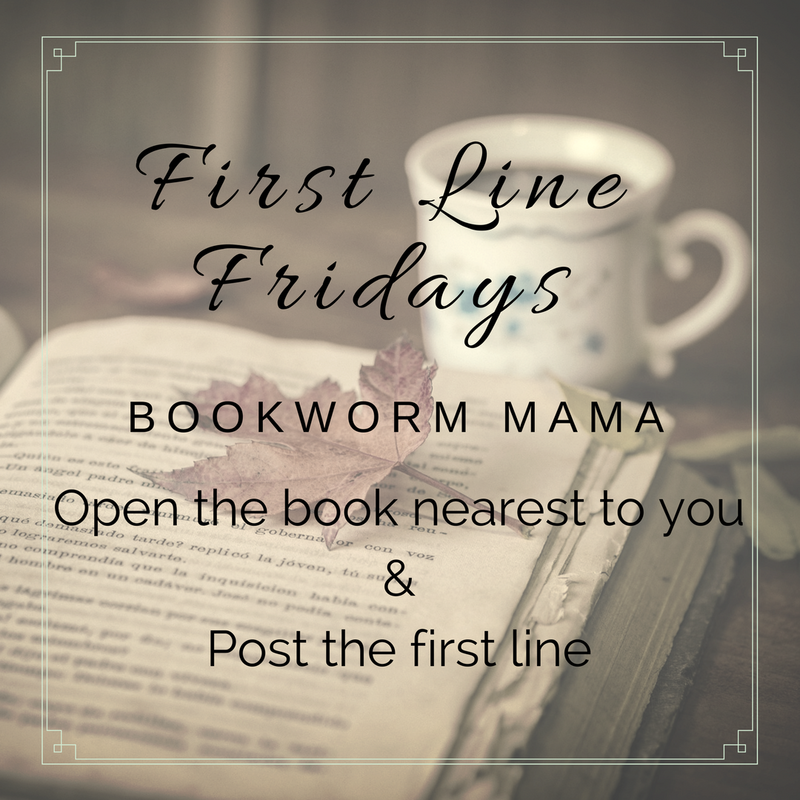 My first line is: “My heart beat as if it was trying to build up speed and erupt from my chest.” From Warfare:Life After Book 2 by Julie Hall. Coming out June 13th. I love Sherlock Holmes! Victorian literature at its finest. :) Happy Friday! Oh I LOVE old books! 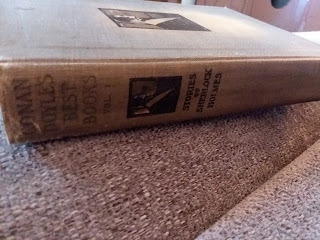 And I just read my first Sherlock Holmes short story the other day (Haven't gotten around to any more yet). My first line is from TURTLES IN THE ROAD, a humorous romance from mother/daughter duo Rhonda Rhea and Kaley Rhea. The book arrived yesterday, and I didn't get to crack it open until 1:00 AM...but I just HAD to start it before bed! The first chapter is hilarious...and Piper is my new BF! -- "Normally a nice long solo drive had a calming effect on Piper." Would your Granny adopt me?! Enjoy your treasures! It's a Regency weekend for me. Today I've started reading Carrie Turansky's Edwardian Brides series. Julia Foster lifted her gaze to the clear October sky as a lark swooped past. I kinda thought it was Sherlock Holmes. I remember when my folks gave me my old books, I was in heaven! Have a great weekend and enjoy some great reading! Love Sherlock Holmes. Great adaptations were the ones with Jeremy Brett for PBS. And we like the Sherlock new PBS with Benedict Cumberbatch. So clever. But Conan Doyle was clever. 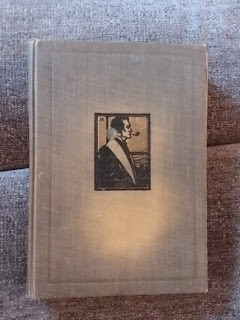 There is also a story about Conan Doyle's life from PBS, too. First line is from The Loyal Heat by Shelley Shepherd Gray: They were digging another grave. The real question – at least for me – wasn’t where Chandra Morrisey had found the elegant white lace fan she swept back and forth in front of her face when the exclamation oozed our of her, but where on earth her exaggerated Southern drawl has come from. Wow! That's a lot of old books! What a treasure! I'm sharing the first line from True to You by Becky Wade. "Finding oneself at the mercy of a crazed gunman isn't all fun and games." That is awesome!! What a sweet grandma you have :) I hope you enjoy reading all these old books! This one was really interesting! Thanks for sharing it!